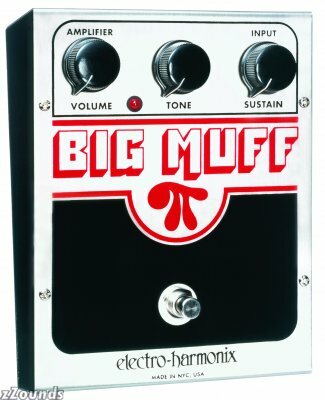 Effects: Big Muff (russian stylee), Big Muff (american stylee), Big Muff (Home job stylee) - I love the muff! !, Boss Syb3 synth peda(ok sounds - fucked tracking!! ), double delay, Cry Baby Bass wah, chorus pedal, guitar rig 3 (sans controller), korg tuner pedal, alesis 3630 compressor. Effects: OD3, DD3. I have an RC boster, BB pre and an Uncle Ernies delay on the way. Soon all to be connected with Neutrik plugs via Canare GS-4 patch and GS-6 instrument cable. nice bit o wood that - who's makin it?? Peter Crossley is making it for me. FX - Boss GT6(love the stereo delay! ), Boss Digital Delay DD-3, Marshall Guv-nor GV-2, Zoom 505II. 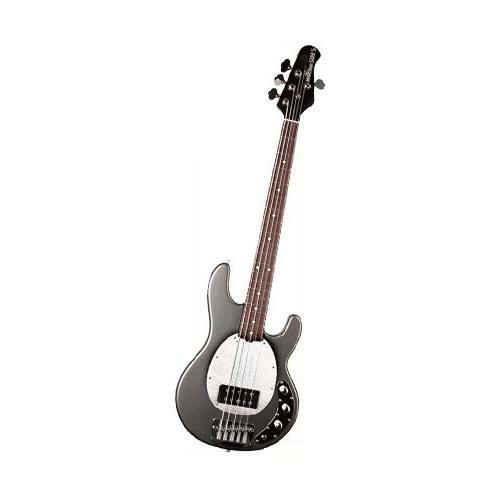 Bass - Ibanez SDGR 4 string. ;D I have a Big Muff too! Cool nice rig Patti! How often do you use the delay with the bass? The colour of the fretboard is a byproduct of it being made from ebony, which happens to possess the tonal charactaristics I was after. The only "light coloured" wood used in fret boards is maple, which I didnt want to use in this guitar. Dont EVER sell it either - that thing will pay for your retirement! I'm swinging a Gibson LP Junior with an extra P90 in the neck at the moment. My fave guitar was the SG classic which had the P90s as well, and the lesser sustain and weight without the carved top - so this is much the same but smaller, with the baseball bat neck and with less pointy bits to impale myself on in 'those' moments. ;D Overall, a really nice and nimble little axe. Plus the vintage white looks really nice. Also, got a bunch of stomp boxes and effects, as i'm sure everyone else does. Alto Saxophone: Fontaine (pretty much the worst cheapo brand out there!! Ah well, I know now. Aotik Handmade. Absolutly fabulous instrument. Antonius Stadivarus Replica Made in 1713.
i play a really basic legend acoustic gutiar ive been playing for about a year and half and im looking for a new electric/acoustic and im wodering what you all would recommend for performance based stuff. My first guitar was a Takamine Jasmine electric/acoustic. It was a while back, but I really loved that guitar, and looking online now - it's not an expensive guitar. Currnetly, I'm playing my late 70's Dean Flying V. I got it for a scandalously good deal from a friend who'd given up rocking and devoted himself to Jazz. He'd done a lot of modifications to it - including a dubious choice to hollow out part of the body to accommodate a tremolo system. Aside from that sad fact, it's a beautiful beat up guitar. I play it through a Crate VTX 350h into a Bag End 2x12 cabinet. Contrary to common wisdom, that head has gorgeous and responsive clean tones, and the drive channels are creamy and scorchy as I need them. As I've moved away from playing more traditional rock and metal, and towards more atmospheric and dynamic post-rock/post-metal stuff, it's really been there for my changing needs. I have a samick 12-string acoustic (pretty rough, but not too bad a sound), a 'tempo' electric guitar (from like the 70's or something ... isnt really that good of a guitar, just bought if for a project), an ashton electric (has a great sound to it for a cheaper guitar, gets the job done), a yamaha nylon string acoustic (missing a peg, so its really only a 5-string at the moment), an old nylon string acoustic (not sure of the maker, but it was my grandfathers/great-grandfathers), and a washburn acoustic electric (I love the sound this guitar makes, and it wasnt too expensive). My dad has a Takamine electric/acoustic too, and it is a great sounding guitar! I have a Kawaii, and a Yamaha. Both are reliable keyboards, and get the job done. I have only got the ashton amp that can with my ashton electric, and for a small amp, it puts out a really good sound! Not sure who the maker of either of the violins are, but one was my great-grandmothers violin, and it is absolutely beautiful. Again, I do not know the maker of the saxophone, but apart from missing one of the pearl key inserts, it is in immaculate condition. I have just recently been given an Artley clarinet to do up as a project too. This clarinet was very badly water damaged, and the corks crumbled off at the softest of touches, but since then it has been re-corked, and is now in a very playable condition. My dad bought a Yamaha trumpet from cash converters for $50, and has fixed it up to being playable too. That's about it for instruments that I have (and a little about what my dad has got too) but there are also the instruments that my sisters have that I didn't mention here!